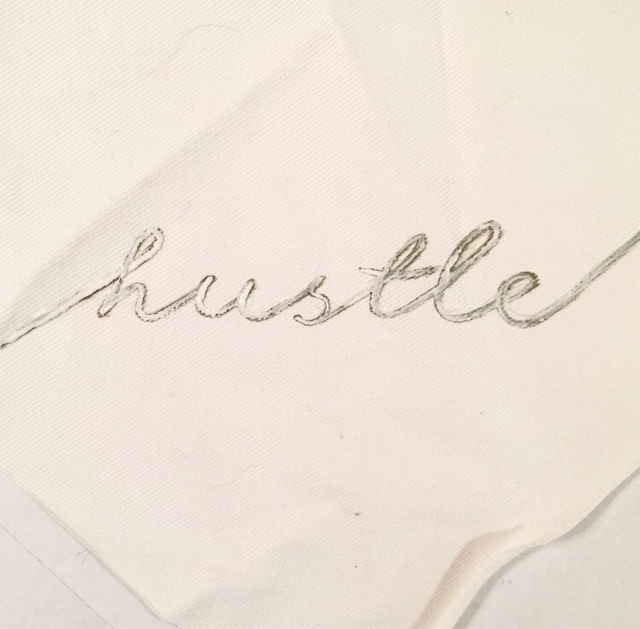 Art Like a Ladie: Everyday I'm Hustlin' and you can too! 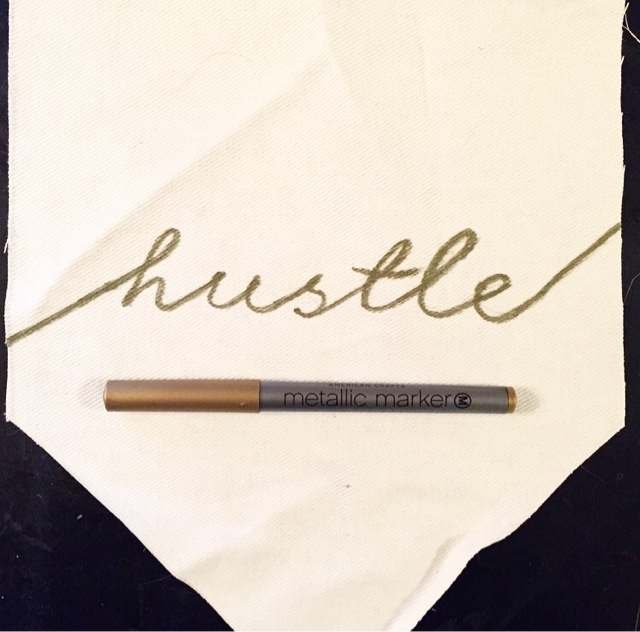 Everyday I'm Hustlin' and you can too! 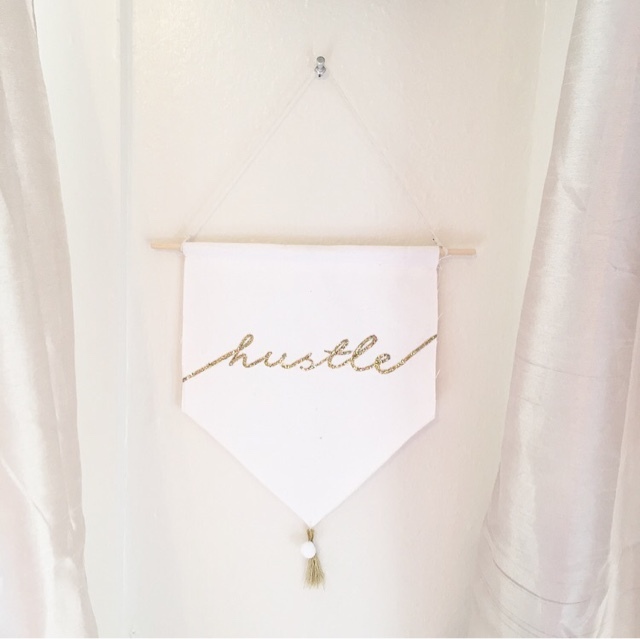 Sometimes we all need a little reminder to hustle with all our heart right? 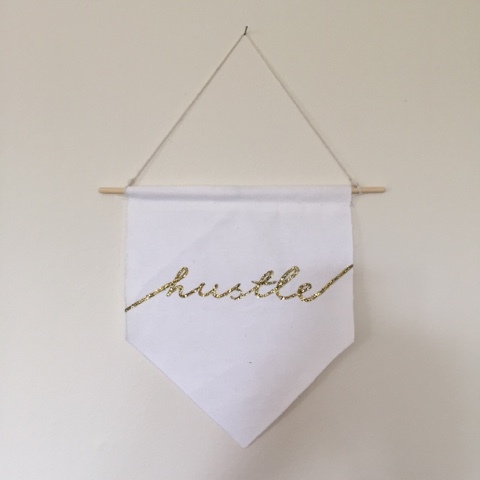 Here, I'll give you a step by step guide to making this adorable and motivational banner for free, using things you have lying around the house! Don't have good hand writing? 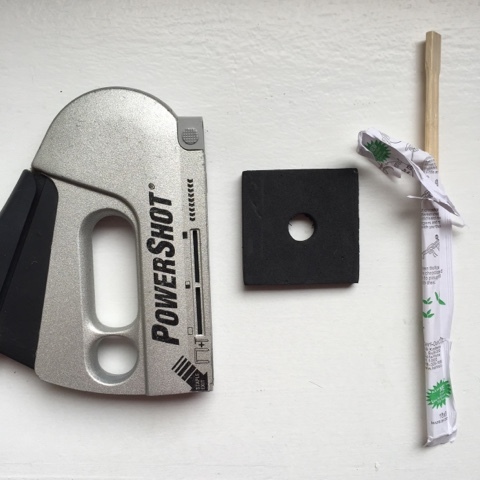 No problemo--I'll show you a trick to fake it! 1. Do you have crummy handwriting? 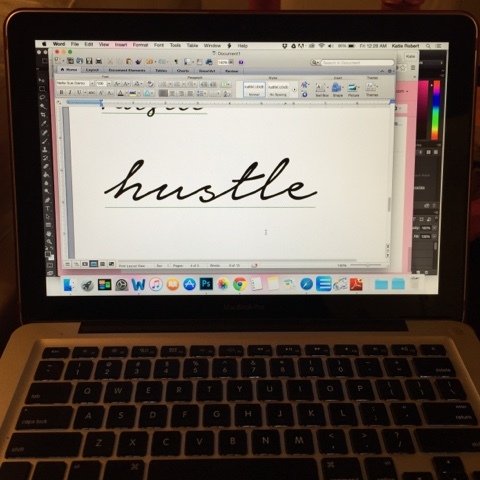 Pick out a fancy font that you like and type in as big size as you'd like your word on your banner to be hustle. I got the idea for trying this technique thinking about the old light box my dad used to use to trace things. 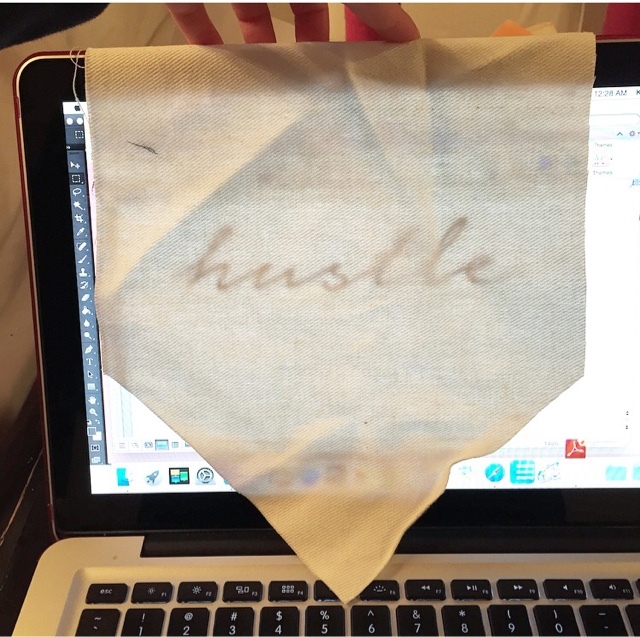 Hold up your fabric to the computer screen and you'll be able to see the font through it--your screen becomes a light box! 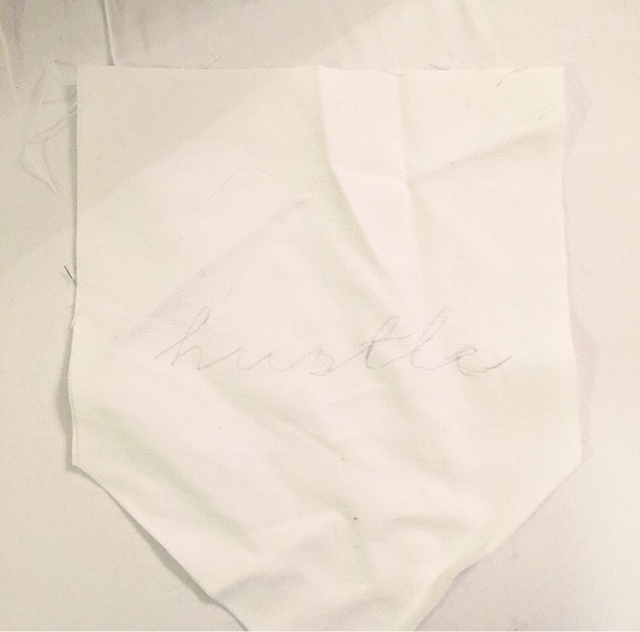 Use a pencil to outline the font as you hold up the fabric to the screen. 2. 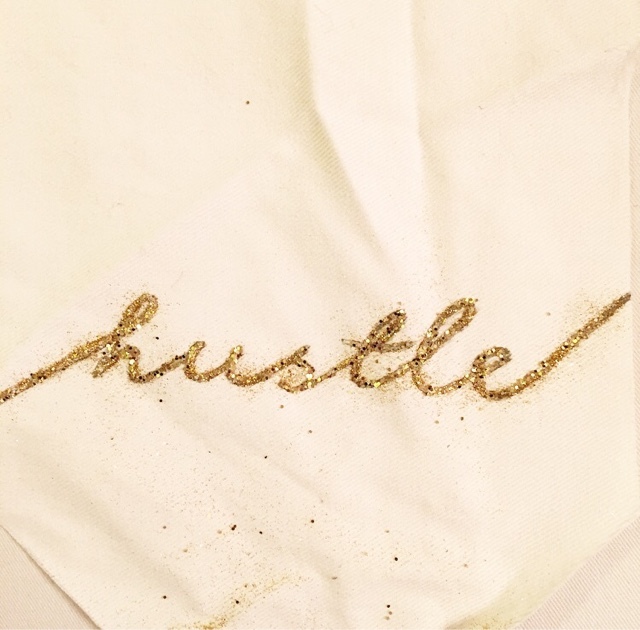 Take your gold pen and write over the pencil marks. 3. 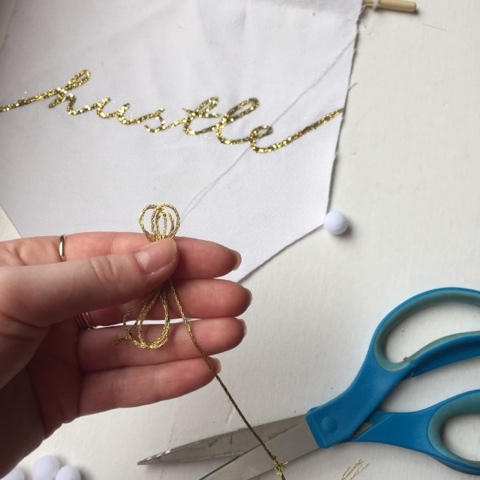 Run your glue along the gold outline. 4. 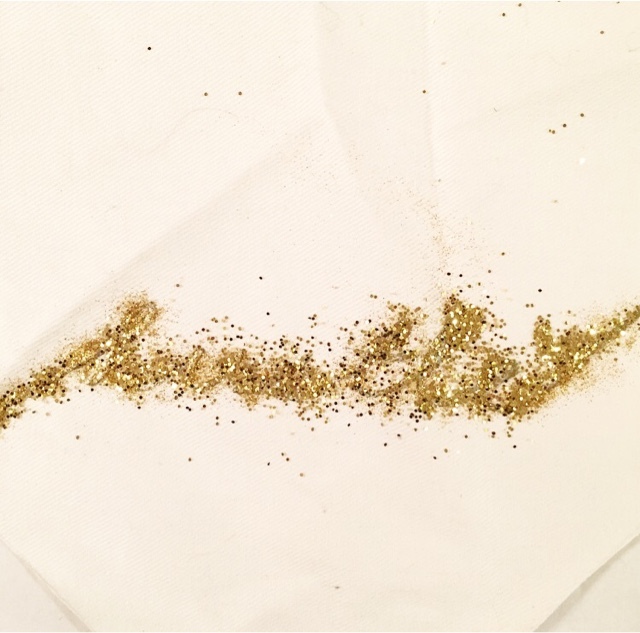 Once the word is traced in glue --make it rain glitter! 6. 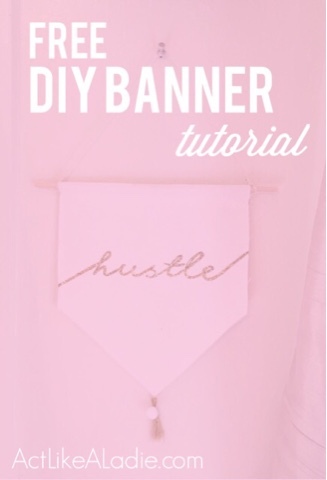 Next you have to make the rod that will go through the top of the banner. 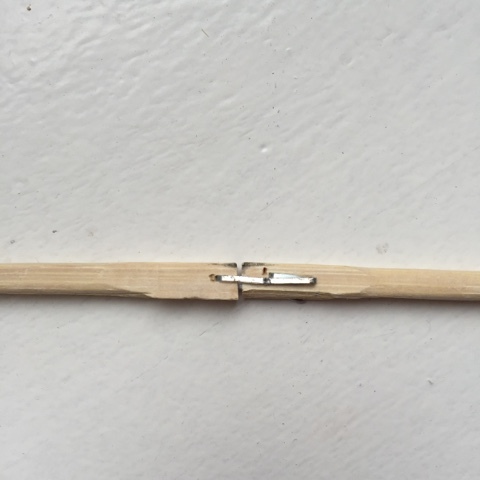 I didn't have a rod that was long enough, and once I have an idea I just like to run with it, so I improvised and used 2 chopsticks for the rod. First, I put them next to each other over a foam pad (so as not to ruin the table--not like that has happened before...) and then I staple gunned them together. 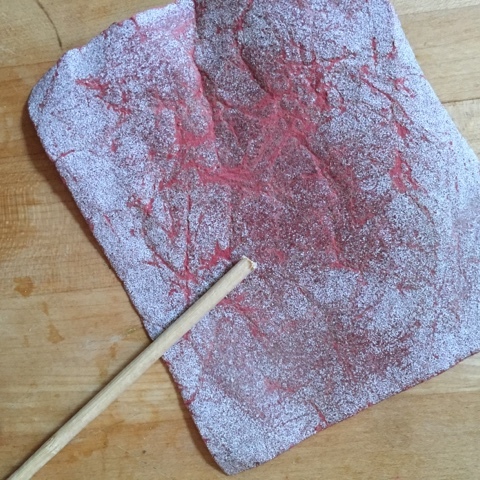 I didn't want the telltale pointy chopstick ends so I sawed off the pointed tips and then used sand paper to smooth them. 7. Fold over the top of the banner about 1/2 in to 3/4 of an inch (big enough for the rod to go through) and pin along the edge. 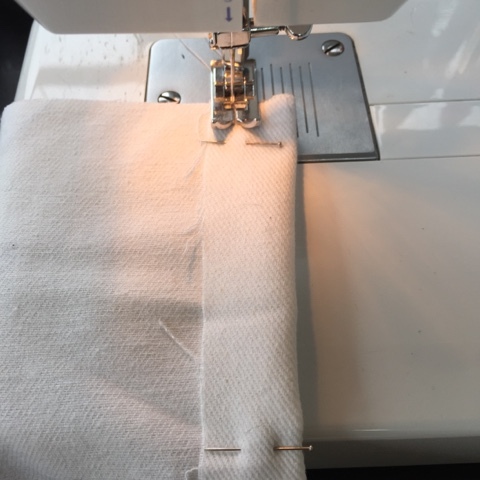 Next, sew along the edge--this is what the rod will run through. 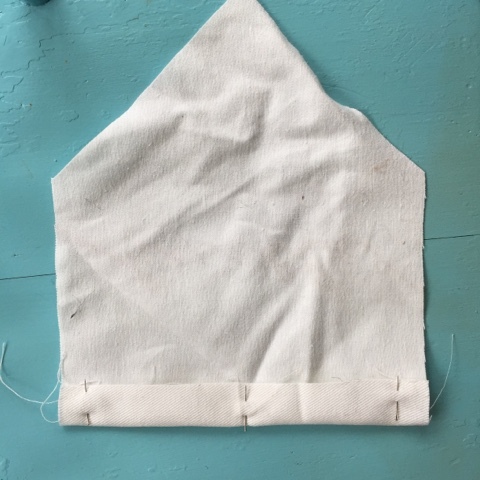 You can hand sew it or use a sewing machine. 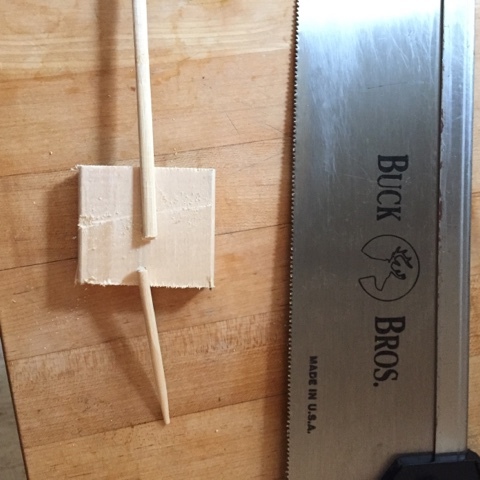 put the chopsticks through the opening. 8. 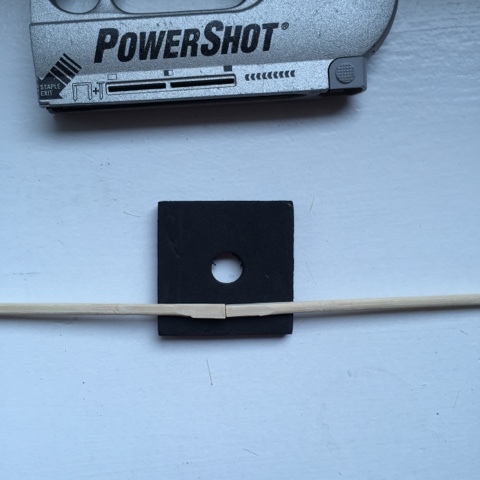 Tie your string to either side of the rod. And you are done! 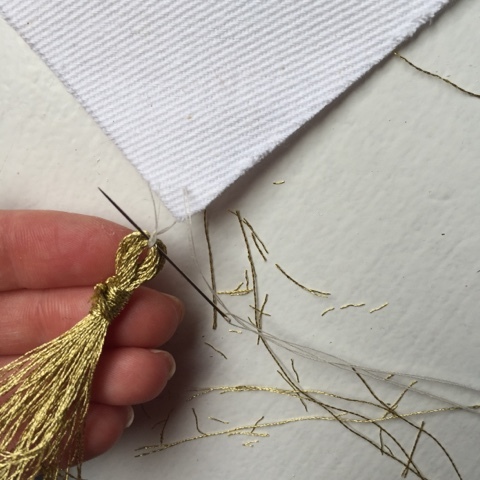 OR if you're super fancy you can add a tassel (see step 9) to add a little something special. 9. 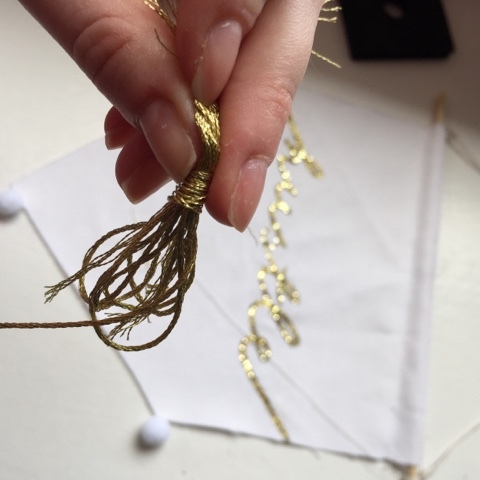 Take your gold string and loop it around your hand multiple times. 10. 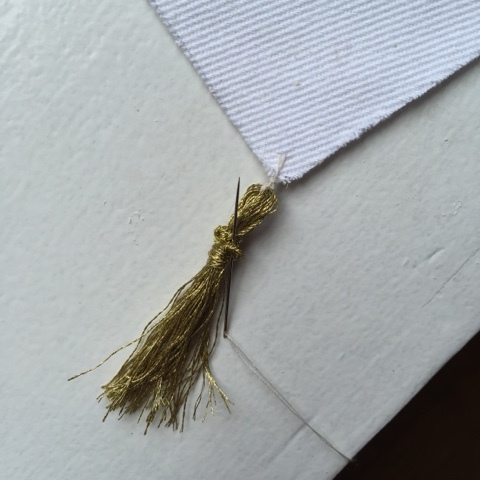 Take another piece of string and wrap it around the loops you just gathered like a ponytail holder. 11. 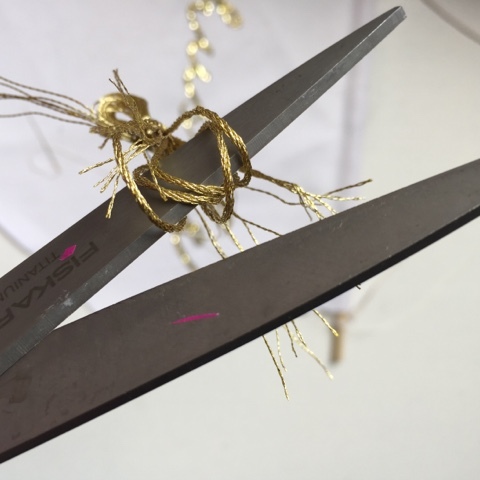 Stick the scissors through the big hoop of the strings and cut. 13. 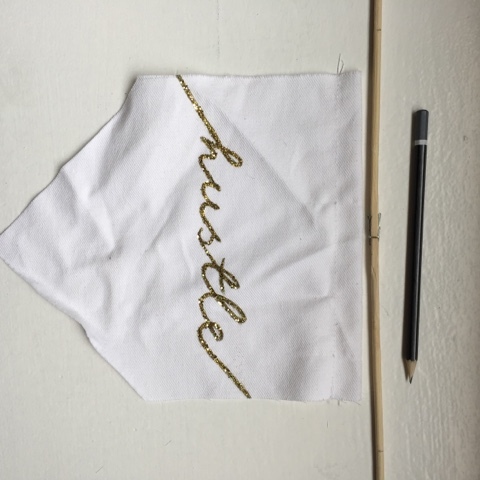 You're a hustler baby! 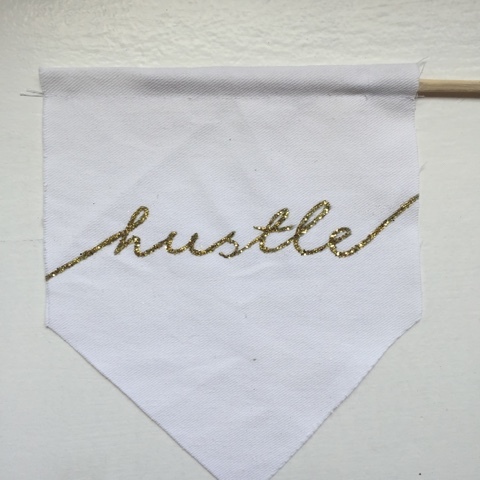 hang up your banner and get sh*t done.